Well, in awarding me the “Blog on Fire” award, Grackle & Sun (my secret internet twin – such as point 5, 6 & 8 on her list just to mention a few little synchronicities), also used the title, so I had to come up with other hot stuff. I’m honoured and amused and a tiny bit embarassed to be selected, and of course thrilled that some people actually enjoy my ramblings through hobbyland. Thanks also for pointing me to OTHER cool blogs besides her own, expanding my territory and awareness, as well as reminding me to drink more water…. 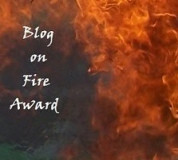 The rules for the Blog on Fire Award are to write 8 unusual things about yourself or your pet and then to share the award with 8 other bloggers who you think are on fire. While I don’t disapprove of tv as such, I rarely watch and could easily live without one. (alas, the tall guy cannot) Apart from the odd movie I mostly end up watching just the news, sporadically, or weird stuff about Egyptian mummies on the cultural channel. I then think up art yarns inspired by egyptian grave stuff. My nervous wreck of an Arabian horse is too polite to really spook or disobey, but you always know if he’s scared or worried because he flaps his lower lip loudly, flipflop, flipflop. I’m 46 and I still don’t know what I want to be when I grow up. As a kid I liked to eat bananas with salt licorice pastilles. I read bedtime stories to my husband almost every night. Currently “Witches Abroad”, a Discworld novel. I have a knack for learning languages, to the point of embarrassment when I unintentionally mimic the accent of the locals on holidays to Scotland. And for 8 blogs that I enjoy for a variety of reasons on a variety of subjects (I can’t ever stick to just one interest in life, I want it all!). Being new to blogging I’m also new to reading them, so my list is a work in progress. La Belle Helene – fiber and jewellery artist, lovely stuff! 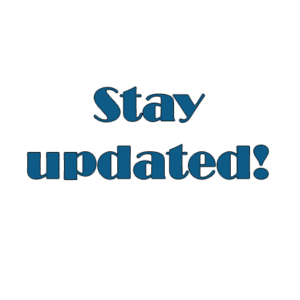 Hi Pia – I enjoyed checking out all the blogs you like. And I think your blog is on fire too! I was really surprised to see my blog on your list too. Thank you. I just listed 8 things about me on my blog and listed some of the blogs I read.